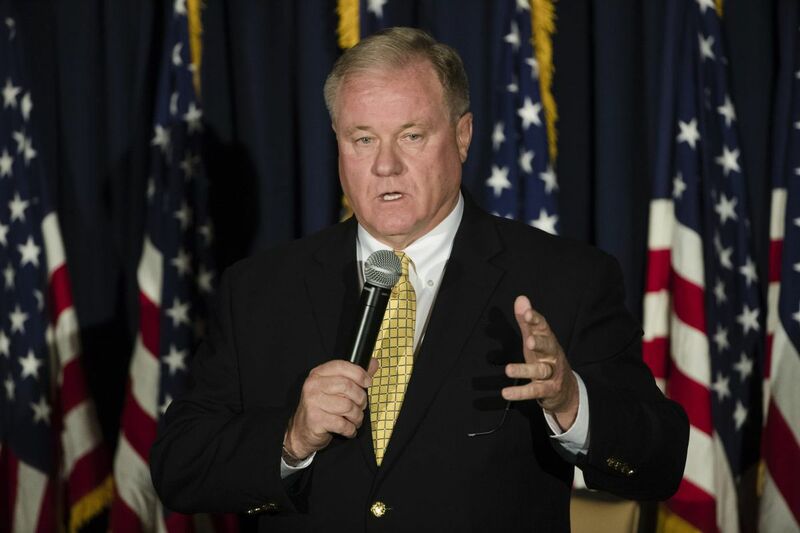 State Sen. Scott Wagner (R.,York), is seeking the Republican nomination for governor in Pennsylvania. Wagner, a York County Republican seeking his party's nomination to challenge Wolf's bid for a second term in November, said he welcomed the governor's "decision to finally get serious" about the problem. A day later, Wagner was back with a warning, claiming Wolf's declaration "has infringed on the rights of any Pennsylvanians who could generally carry a firearm in public without a license." By Friday, Wagner was on a local talk-radio show, explaining how he was a co-sponsor of "pretty critical" legislation that would rewrite state laws to prevent emergency declarations from impinging on gun rights. "Any implication otherwise to score cheap political points around the greatest public health crisis in our lifetimes is flat-out wrong," said Wolf spokesman J.J. Abbott.